Today’s treat is not a ‘true’ ice cream. More like a frozen treat. But after my self-diagnosed ice cream ‘diet’ something lighter was in desperate need. So out of desperation comes brilliant thoughts and this Paradise Granita was born. Unfamiliar with granita? Well it is an Italian style flavored ice made from sugar, water, and various flavorings. A.K.A shaved ice. A.K.A. 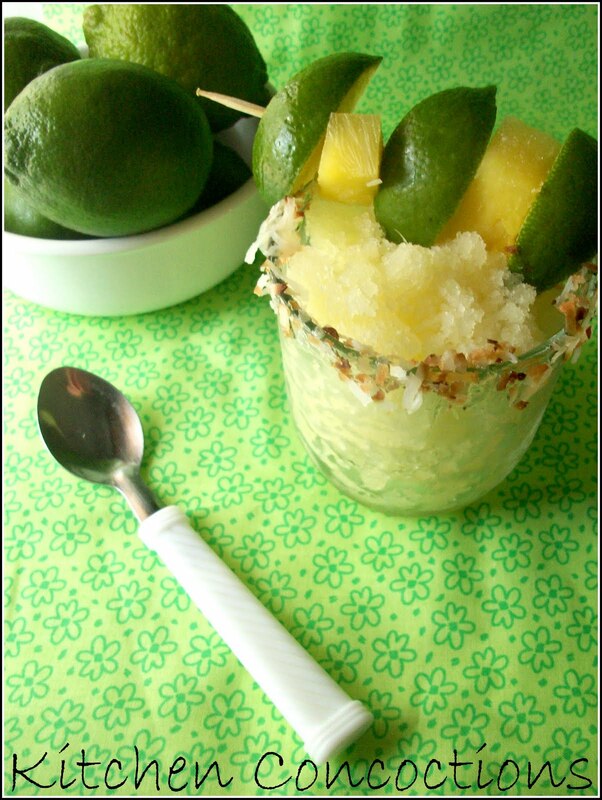 a flavorful, light, and refreshing summertime treat. With the flavors of a beach paradise vacation, you too can pretend that the burnt grass in your backyard is like sand on a beach! Transfer mixture to a 9 x 13 baking dish. Freeze for two hours, then begin the process of lightly scraping the top, frozen layer. Return pan to freezer with the shaved ice on top; remove a two hours later and scrape again. Repeat the scraping process every two hours until the entire mixture is shaved. Store, covered in the freezer, until serving. 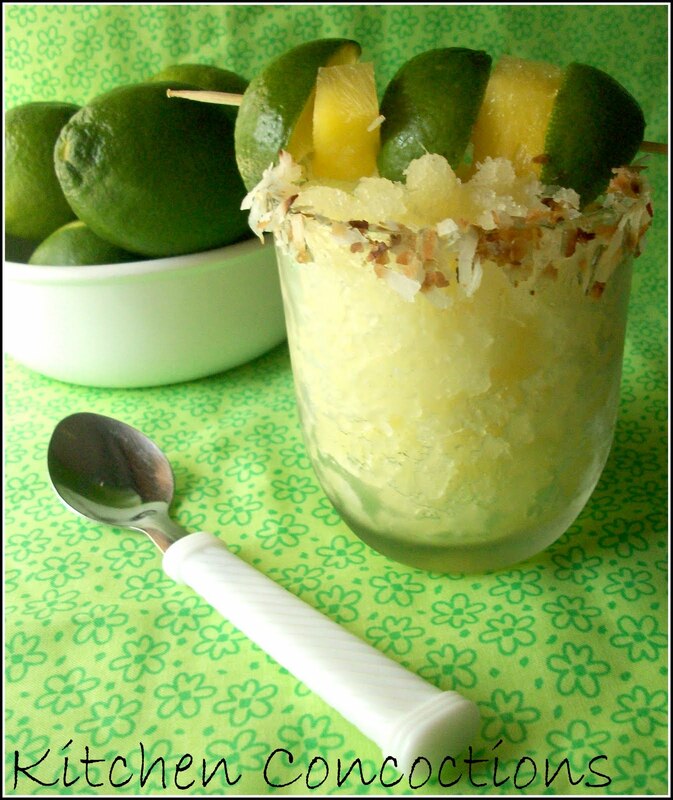 Looks like a refreshing treat for a hot summer day! I love the "lighter" idea…a great change from ice cream!